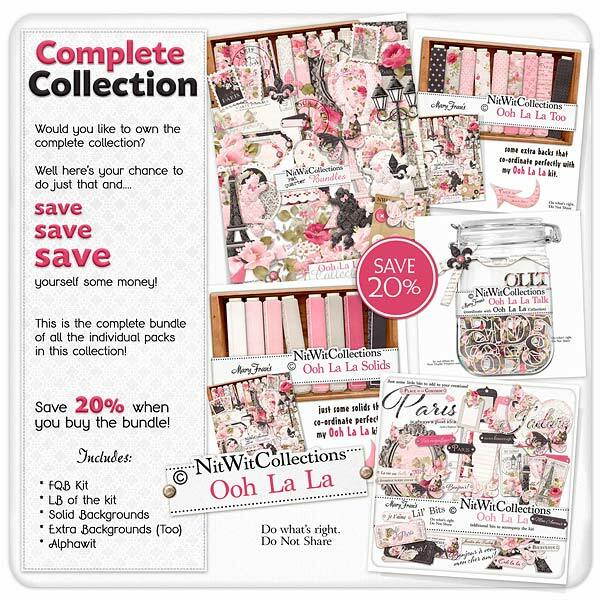 Bundled "Ooh La La" Collection is a cottage chic digital kit that will whisk you away to the City of Love!! Stroll through the display and let the sights of the Eiffel Tower, hot air balloon, beautiful flowers and lace hearts guide you towards a lovely creation that is coming from your heart! This digital scrapbooking and card making kit evokes a feeling of love that can be used for so many of these themes...be it a wedding, birthday, anniversary or just to tell someone you love them. See this entire Collection on our Nitwit Collections YouTube Channel to get the full scoop! !